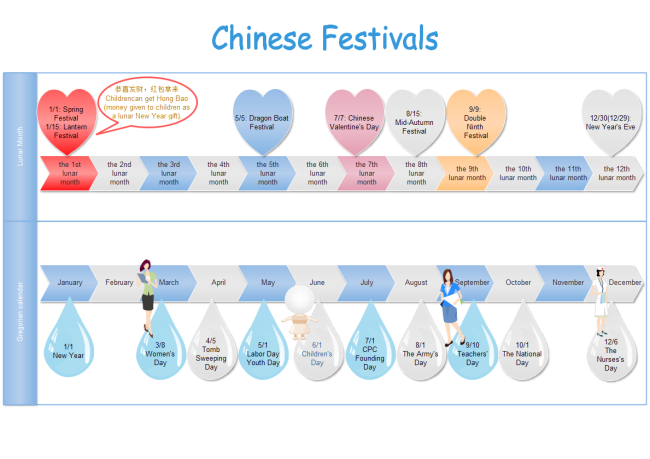 Here is a custom timeline example presenting most of Chinese festivals chronically. Create more timelines easily with powerful and easy to use software. You can gain more timeline examples for free on this page. 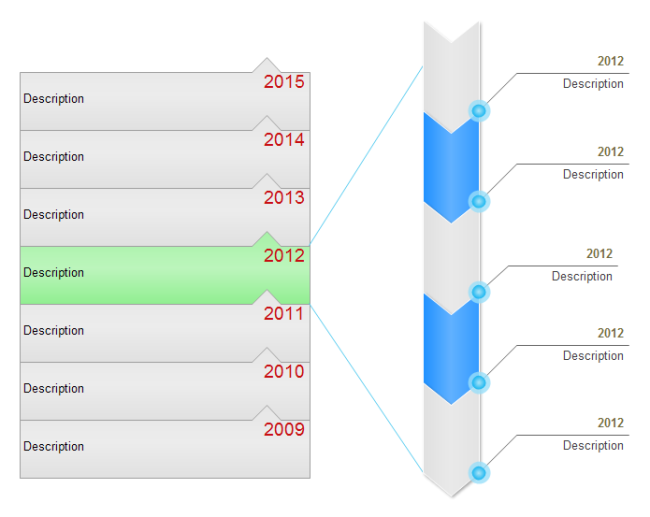 Timelines are perfect for showing events chronically. Edraw offers you various solutions to show time and events. Included are a wealth of templates. This page presents an example of Chinese festivals divided into two groups according to lunar calendar and Gregorian calendar. The Spring Festival is the most important traditional festival of China. It is on the first day of the first lunar month. The celebration lasts for one week including activities like dragon dance, lion dance, setting off fireworks and firecrackers. People make foods like dumplings or zong zi (glutinous rice wrapped using bamboo or reed leaves) to symbolize gathering. Learn how to make Zongzi here. The night before the Festival is Spring Festival Eve in which the families gather together and have the New Year's Eve dinner or the family reunion dinner. Tomb Sweeping Day is usually on 5th April. It is a festival for worshipping ancestral by sweeping their tombs, offering ritual food and burning paper money for them. Dragon Boat Festival memorizes a great poet Qu Yuan, an honest minister who is said to have committed suicide by drowning himself in a river for the country. It is celebrated on the fifth day of the fifth lunar month. For thousands of years, the festival has been marked by eating Zongzi and racing dragon boats. Falling on the seventh day of seventh lunar month, the Double Seventh Festival to China is what Valentine's Day to the western countries. A love story for this day is about the 7th daughter of Emperor of Heaven and an orphaned cowherd. They were separated by the Emperor who required the 7th princess to go back and weave clouds and rainbows to beautify the sky. The 7th princess was forced to move to the star Vega and the cowherd moved to the star Altair. Separated by the Milky Way, they were allowed to meet only once a year on the day of 7th day of 7th lunar month. Magpies were moved by their true love and many of them gathered and formed a bridge for the couple to meet in the evening of Chinese Valentine's Day. The Mid-autumn Festival falls on the 15th day of the 8th lunar month. It is a festival symbolizes reunion of families and harvest on which the moon is full. Chinese people eat mooncakes during this festival. The Double Ninth Festival, observed on the ninth day of the ninth month in the Chinese calendar, is a traditional Chinese festival known as the Senior Citizens' Festival. During the festival, Chongyang cake and chrysanthemum wine is the traditional cuisine. Climbing mountains and appreciating beautiful chrysanthemums are interesting events that add to the festival creating a joyous atmosphere. 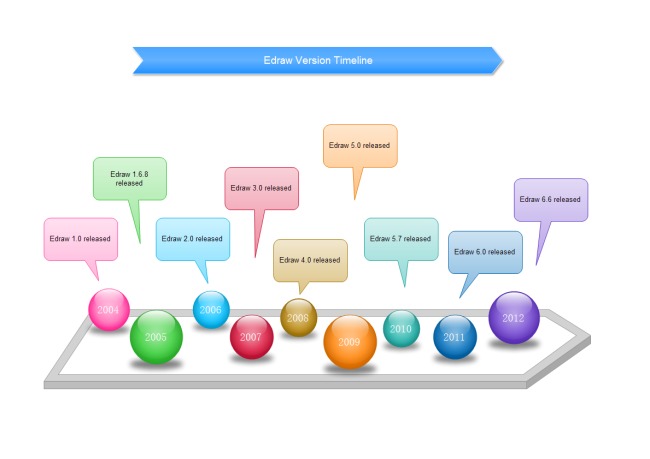 Discover why Edraw is an excellent program to create love timeline. Try Edraw FREE.